Bella Italia! Italy is the one country that everyone seems to have on their bucket list and for good reason; it is amazing. I fell deeply in love with Italian spirit of La Dolce Vita (The Sweet or Good Life) the first time that I visited nearly twenty years ago. I was immediately attracted to this concept that family, food and enjoying life are more important everything else. Since then I have taken 40 plus journeys throughout Italy, and this common thread is still one that resonates with me, especially now that I have a family of my own. I would like to cordially invite you to join us on an 11-day journey to our favorite parts of this beautiful and enchanting country. 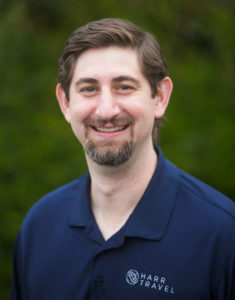 The itinerary was intentionally designed using traveler and teacher feedback from the fourteen plus guided tours that I have led over the past eight years. We have included a little bit of everything that Italy has to offer, and added educational components throughout. You will explore its greatest hits, along with a few lesser known locals that we love. This trip is perfect for couples, solo travelers, families (kiddos 8 and up) and extended families (we get a lot of aunts, uncles, grandmas, grandpas, cousins and more). Each activity is designed specifically for the age group who will be experiencing it. We know that when everyone in the family’s needs are met, the experience is so much better! 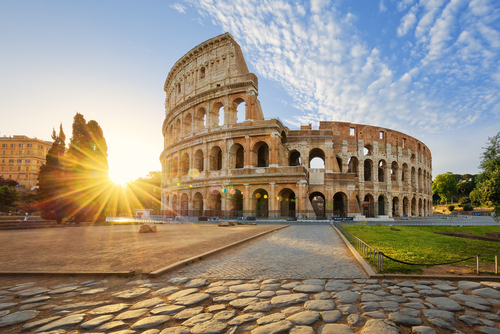 We start off in Rome, the Eternal City, where we will enjoy privately guided visits to the Colosseum and the Vatican. There is so much to do in Rome, that our journey starts and finishes there in case you would like to add some time or add an extension to the Amalfi Coast. Next, we head north to the walled city of Lucca. Lucca is a wonderful example of a Medieval turned Renaissance town with markets, shops and charming alleyways to discover around every corner. It is also a great jumping off point for us to visit the infamously stunning Cinque Terre. These five fishing villages are positioned precariously on cliffs and hills overlooking the Mediterranean Sea. We will enjoy a boat and train ride as we take in the sights and experience the villages from different viewpoints. From Lucca we will head to the heart of Tuscany where we will visit Siena and San Gimignano, on our way to the famous Verrazzano Castle. 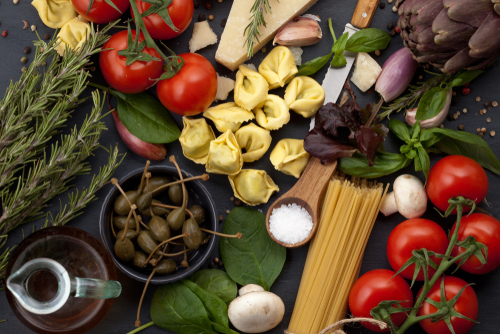 Here we will explore Italy’s viniculture and learn all about the Chianti wine make process, as well as enjoy a delicious feast of local specialties. 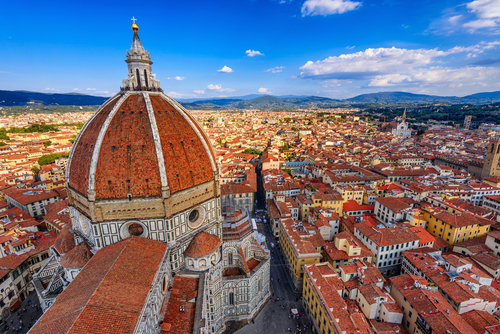 From there we head on to stay in the cradle of the Renaissance, Florence. This compact city is loaded with history, charm and incredible food. Here we will take in Michelangelo’s masterpiece, David, as well as enjoy an in-depth tour of all that this city has to offer. After our visit to Florence we will head to Venice, the jewel of the Adriatic Sea. Along the way we will stop in Verona to explore an incredibly well-preserved pink stone Roman amphitheater, as well as visit Juliet’s Balcony. Venice. 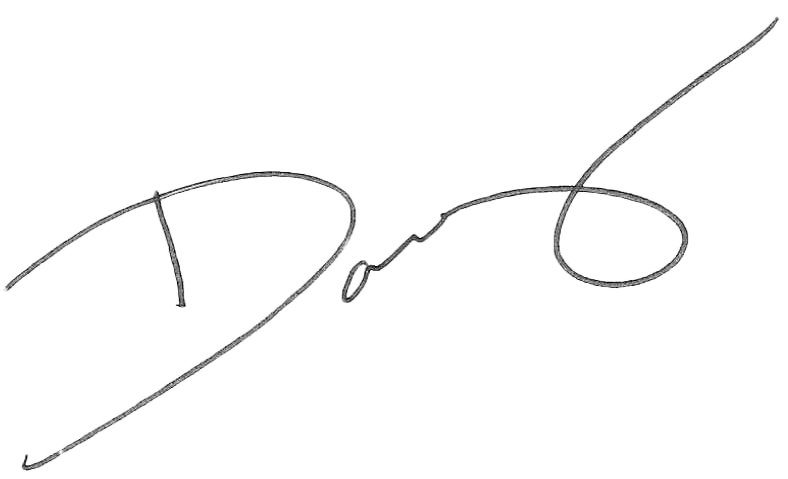 The word alone evokes images of canals, towers, ornate buildings and a city with no land. We will stay close to the famous St. Mark’s Square, where it is easy to venture out and wander the alleyways, bridges and secret passage ways that can be found throughout Venice. 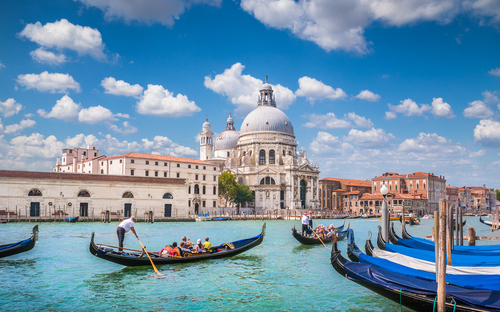 We will also explore the Doge’s Palace, the Bridge of Sighs and enjoy a gondola ride through the city. The next day we will experience one of Venice’s oldest traditions, glass blowing. From Venice we head to the Emilia Romagna to visit Ravenna, on our way to Assisi. Assisi is beautiful, spiritual and unique. As the birthplace of two major Catholic Saints, The Churches of Saint Francis and Santa Clara are the focal points for most visitors, but Assisi has even more to offer. It is a stunning walled city built on the foundation of a Roman City, with a beautiful citadel at the top. Assisi is a town that most tours stop in, but few stay overnight. As soon as the town clears out in the late afternoon, the city will be ours to explore at leisure. We have scheduled an overnight visit so that we can head to the top of the citadel and take in a stunning sunset, while reflecting on an incredible journey. In the morning we head back to Rome to toast our journey and enjoy our farewell dinner. 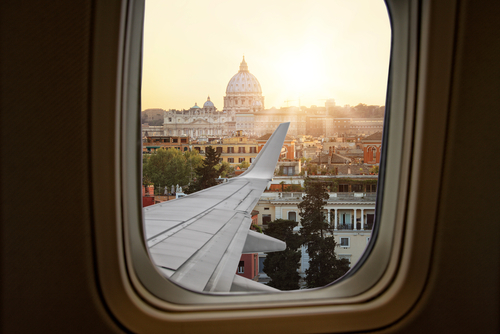 Welcome to Rome! In the early evening you will meet your Tour Director, Travel Concierge, Teacher Ambassadors and traveling companions. We will head together for a special welcome dinner at one of Rome’s lively restaurants. Start your day with breakfast at our hotel. 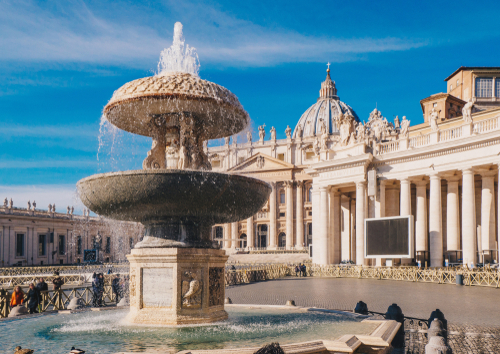 Today you will enjoy guided sightseeing that includes inside visits to the VATICAN MUSEUMS and SISTINE CHAPEL with Michelangelo’s ceiling paintings and The Last Judgment, and monumental ST. PETER’S SQUARE and BASILICA to admire Michelangelo’s Pietà. Then, drive to the Roman Forum and visit the amazing COLOSSEUM, where gladiators once fought. An optional walking tour with a Local Guide is available to further explore famous sites for those who wish to see it all. 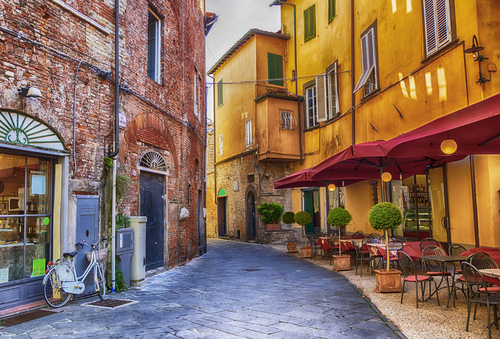 Today you will escape the big city and head north to the medieval town of Lucca. This beautiful town is completely surrounded by the original medieval walls and my favorite thing is to enjoy a walk through the quaint medieval town center and get lost in the alleyways. If you choose, there will be an optional dinner at a local agriturismo farm where you can enjoy a Tuscan feast! Lucca is the perfect jumping off point to explore the Italian coast. After breakfast you will drive to La Spezia on the Mediterranean Coast and enjoy a unique excursion to CINQUE TERRE, a UNESCO World Heritage Site. It will include a BOAT RIDE (weather permitting) with a Local Guide. The name Cinque Terre dates to the 15th century and is derived from five little medieval villages standing on stony spurs along five miles of the rocky coastline: Riomaggiore, Manarola, Corniglia, Vernazza, and Monterosso. After the boat ride, a TRAIN RIDE returns you to La Spezia. 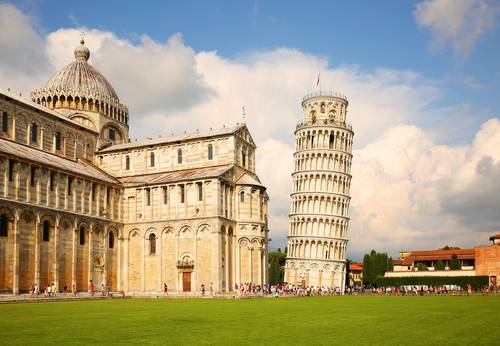 The next stop is in Pisa where you can take the traditional picture pushing back the amazing Leaning Tower, 180 feet high and no less than 12 feet out of the perpendicular. Then you will return to Lucca for an included dinner. Today is a celebration of Tuscany. This morning after breakfast you will visit Siena and walk through ancient narrow lanes to beautiful PIAZZA DEL CAMPO, theater of the biannual Palio, Siena’s spectacular medieval-style horse race. 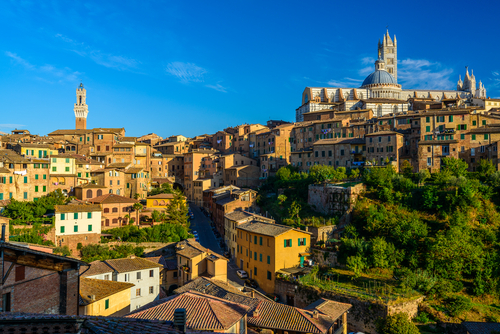 After exploring Siena, you will continue to the hilltop village of San Gimignano, the most picturesque of Italy’s perfectly preserved medieval towns. In the afternoon, drive along the Chianti Road leading north to Florence. Next is the highlight of the day: stop at splendid VERRAZZANO CASTLE to hear about the fine art of blending four types of grapes to obtain the famous Chianti. Here in additional to a full education on the wine making process, you will enjoy WINE TASTING and an early dinner with local specialties. Start your morning with breakfast and maybe an early morning stroll along the Arno. Later in the am you will enjoy a walking tour. During your walking tour with a Local Guide, visit the ACADEMY OF FINE ARTS to see Michelangelo’s celebrated David. 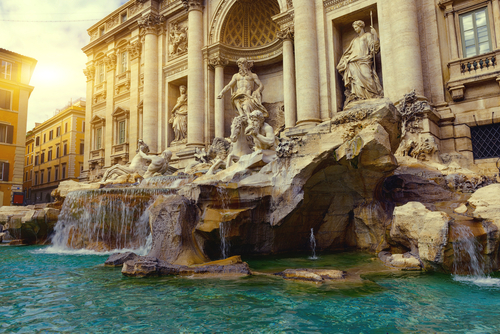 Admire the magnificent marble Duomo cathedral, Giotto’s Bell Tower, the Baptistry’s heavy bronze “Gate of Paradise,” and sculpture-studded SIGNORIA SQUARE. Time to explore this fascinating city so beautifully filmed in movies like Room with a View and Tea with Mussolini, and to browse through the shops. Leather goods and gold jewelry sold by the ounce are attractive buys. To make the most of your stay, join our optional excursions to the magnificent Uffizi Gallery and a dinner outing to try out the culinary delights of a fine Tuscan restaurant. After breakfast, you will set off to Venice! On the way you will stop in Verona, setting of Shakespeare’s Romeo and Juliet. 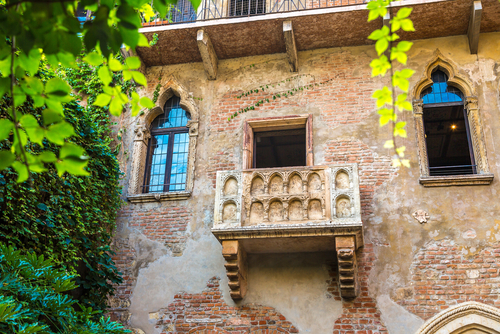 Take pictures of Juliet’s balcony and rub the shining breast on her statue for good luck. Next, admire the Arena, an incredibly well-preserved pink marble Roman amphitheater. Built in the 1st century AD, it was the place where gladiators once fought. Today, it is the magical venue for world-famous opera performances. 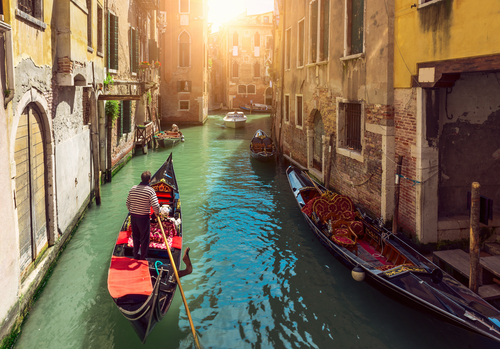 Arrive in Venice, a powerful magnet for romantics and art lovers from around the globe. Enter in style by PRIVATE BOAT. Later in the evening, enjoy your included GONDOLA RIDE. Nothing says Venice like drifting through its canals, under bridges and around corners with a gondolier singing in the background. After breakfast, enjoy morning sightseeing with your Local Guide. Visit ST. MARK’S SQUARE and the byzantine BASILICA, lavish DOGES’ PALACE and the world-famous BRIDGE OF SIGHS. Also watch a skilled GLASSBLOWER fashion delicate objects in an age-old traditional manner. An optional boat ride is available to the picturesque island of Burano. In the evening, explore Venice at night with a nighttime wander with Danny. After breakfast, you will follow the Adriatic coastline to Ravenna. Here, see the famous mosaics in the 6th-century BASILICA of ST. APOLLINARIS IN CLASSE. Next, you will head for an overnight in peaceful Assisi. 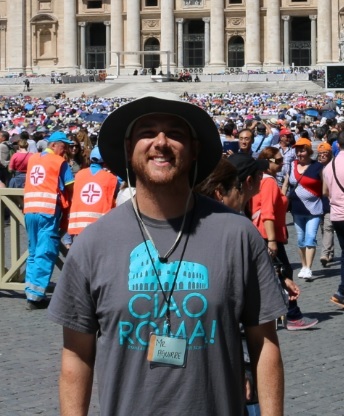 During your walking tour with a Local Guide, visit ST. CLARE’S CHURCH and ST. FRANCIS’ BASILICA, the hub of a religious order devoted to the ideals of humility, forgiveness, simplicity, and love for all God’s creatures. Hear about monastic life and admire the priceless frescoes adorning the walls of the church. Once the tour buses clear out, you will have this charming, spiritual, hillside village to yourself. Enjoy a sunset view from the citadel perched high above the village and then head to your included dinner. In the morning after breakfast we depart for Rome. 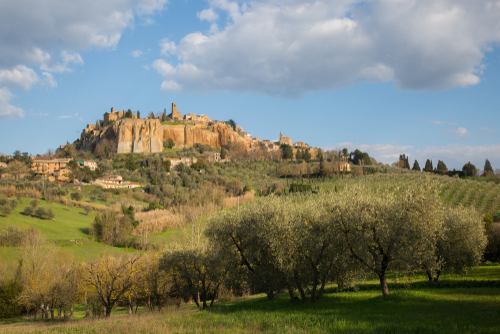 Following the Tiber Valley, you will reach Orvieto in the late morning. Perched high atop a volcanic rock, the views are unparalleled. Here, you have a chance to taste local pastries at renowned Caffè Montanucci, a historic pasticceria for more than 100 years. 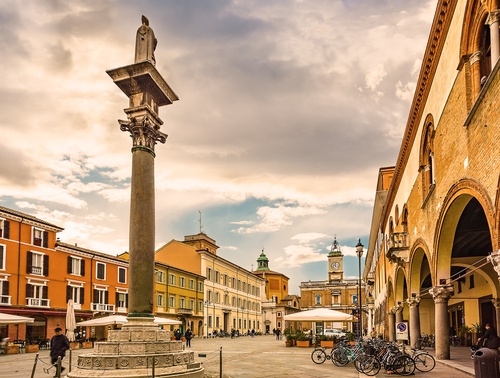 You will also have time to browse through tempting shops in the lanes off Piazza del Duomo, and to visit the fabulous gothic cathedral with its San Brizio Chapel. In the afternoon, return to Rome. This evening, a special farewell dinner and opera entertainment awaits you at Tanagra restaurant. If you are not extending, your vacation ends with breakfast this morning. We will say arrivederci, until next time! 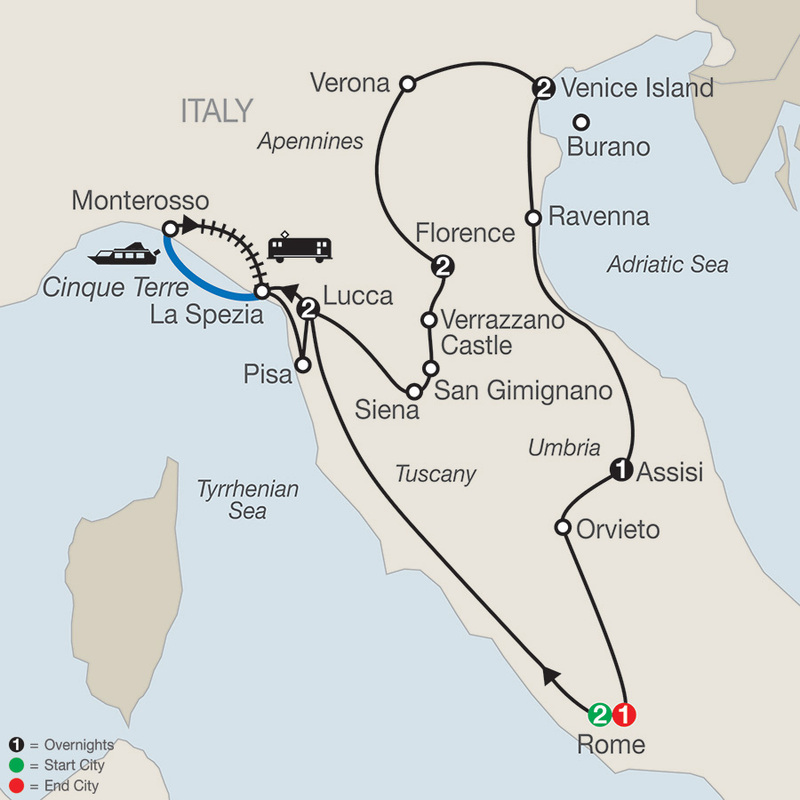 If you are extending on, you will depart for your Sorrento, Pompeii and the Amalfi Coast tour, or optional ocean cruise.